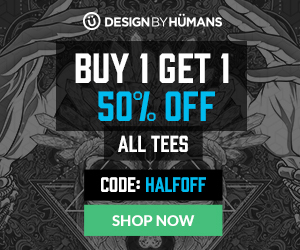 Design by Humans: All Tees are on Sale - Blog @ That Awesome Shirt! We're having a great sale on tees. From now through Monday all tees are buy one get one half off. Expires 16th of January, 2017. Stock your cart with our favourites or check out designbyhumans.com.